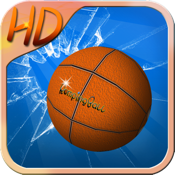 Knock down all obstacle balls in the 3D world to pass through levels. Supporting 4 different themes, 50 levels and tens of artifacts. It's much more than 2D pinball games. Come and show your excellent curved shot! More and more challenges and achievements are waiting for you. Take the challenge and see how you can control the ball to fly.